In its extreme, unintended deployment, epistemic relativisation has contributed less to the desired multiplication of knowledges, a deeper sea of knowers and a more robust grasp of reality, and more to a climate of fractured, destabilized, irreal worlds. (13) In this scenario, partly fuelled by the positive feedback loops of algorithmic automation and online personalisation, a complex world in common has been forsaken for the simplicity, conformity and reassurance of preference worlds. What we experience in our preferential, techno-homophilic chambers is simultaneously a barrage of confirmation bias and outrage at the ‘biased’ other who is publicly mocked ad infinitum, so we make no headway on a shared account of reality. The temptation to react to this scenario by attempting to purify it by purging bias and falsehood echoes those debunked idealisations of science as a neutral arbitrator of an objective reality with which we can all concur. So where does that leave us? How can we escape the reductive deadlock of the with-us-or-against-us negative lesson from the science wars that has leaked into our present? How can we account for situated (relativised and localised) knowledge that is tethered to historical and geographic particularities whilst remaining vigilant in the collective pursuit of an account of reality as such? (14) Because knowledge can never be severed from its makers or the conditions of its making, the stakes are inherently political – especially, to repeat, as epistemologies become instrumentalised. This requires us to move from the plane of ‘world-denying constructivism’, (15) as a parody of ‘situatedness’, which forecloses any claim on reality (even if always subject to fallibility), to a ‘world-affirming constructivism’, so that we might be able to account for situated, local variations and distributed, planetary coherency – a world in common. Patricia Reed, "Distributed Situatedness," in Distributed, eds. 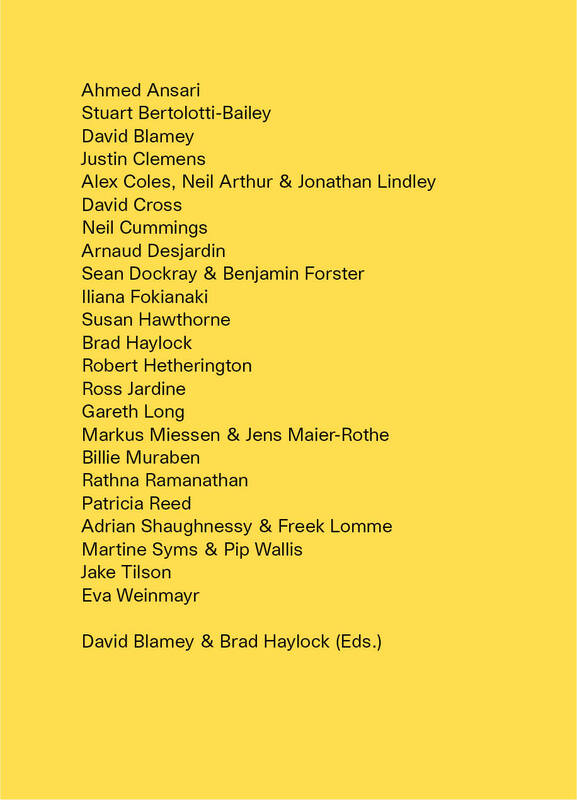 David Blamey & Brad Haylock, (London: Open Editions, 2018), 214-225.